Landscaping: A Shortcut To Improved Well-Being? Let’s be honest, the perfectly manicured yard is, without a doubt, part of what the picturesque American Dream looks like. Not surprisingly, the landscaping industry in the United States generates an estimated $74 billion annually. We all want the perfect outdoor space to complement the perfect indoor space, which, of course, resides in the best city in the best country in the entire world. It’s not rocket science, it’s just idealism, and we all secretly indulge in it. Turns out, though, there are actually some practical benefits to keeping your yard looking trim. The proper landscape design can provide wind protection, which in turn will reduce heating costs. It can also reduce air conditioning costs by up to 50% by shading a home’s windows and walls. Landscaping can bring a recovery value of 100-200% at selling time. According to a survey of home builders, elegant patios or decks are some of the top features requested by new home buyers. Add in a contemporary garden design, and your property value probably increases even more. Walkways and exterior lights aside, did you know that choosing gravel that consists of smaller stones can provide more traction for high traffic areas? More traction means less tripping and less tripping means less scraped knees. 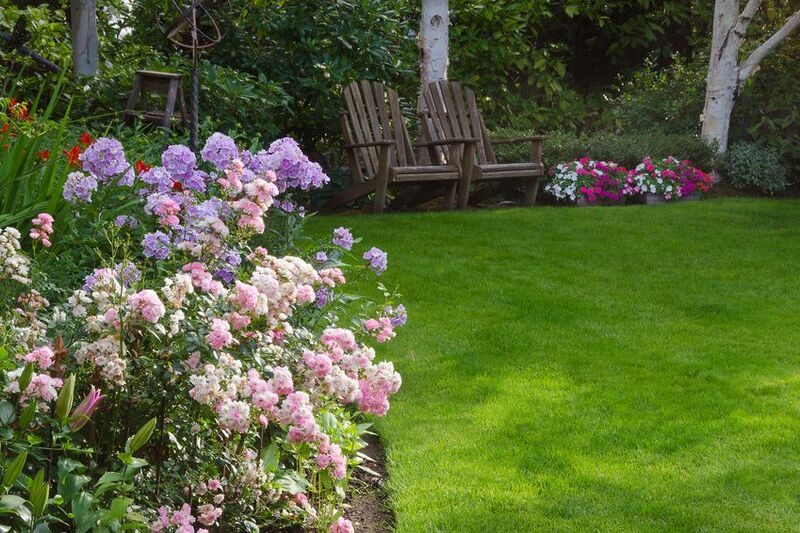 Not only does landscape maintenance generate inner peace by being pretty to look at, but a beautiful yard with strategic landscape design can offer privacy and less unwanted noise. The U.S. Environmental Protection Agency notes that trees can reduce bothersome noise by up to 50% and can mask unwanted noises with more pleasant sounds. That means your neighbors won’t complain as much about the kids playing loudly, and you won’t hear your neighbor’s defective lawnmower as much. Everyone wins. Whether you’re pursuing the American Dream, or you’re just tired of people tripping in your yard and complaining about noise, your life can be made a little simpler with some thoughtful landscape design.